Tom Lawrence puts Derby in front but Jon Nolan levels for Ipswich at Portman Road. Highlights of the Sky Bet Championship match between Ipswich Town and Derby County. 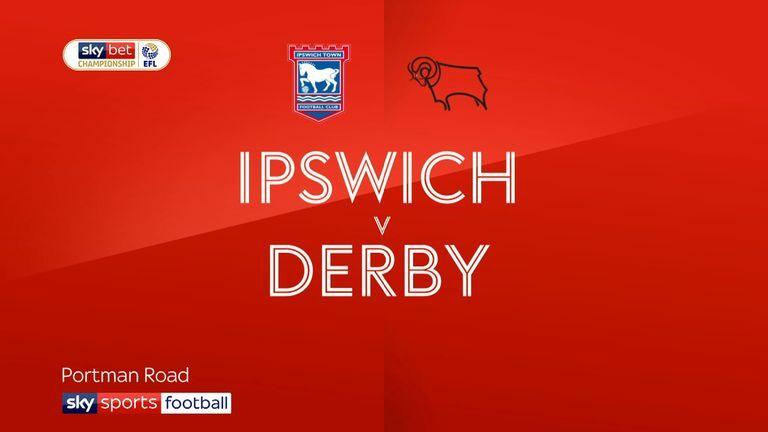 Derby remain in touch with the Sky Bet Championship play-off places after a hard-fought 1-1 draw at bottom club Ipswich. 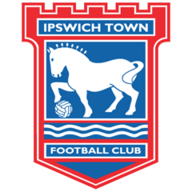 Goals came from former Ipswich player Tom Lawrence in the second minute for the visitors, with Jon Nolan replying for the Suffolk side in the 55th minute. A minute's applause was held for former England goalkeeper Gordon Banks ahead of kick-off, with Ipswich stopper Bartosz Bialkowski wearing the skipper's armband as club captain Luke Chambers was missing due to injury. He was beaten as early as the second minute - the second time in as many games that Town conceded an early goal. Jayden Bogle headed across the penalty area following a cross from Duane Holmes and Lawrence's shot struck Ipswich central defender Jonas Knudsen on the back on its way into the goal. It was the Derby player's first goal in 10 Championship games. Midway through the first half a smart pass into the Derby penalty area by Myles Kenlock just evaded midfielder Teddy Bishop and in the 27th minute Ipswich nearly levelled. It came following a through ball by former Brentford midfielder Alan Judge to Collin Quaner, whose strong left-footed shot from just inside the penalty area narrowly failed to find the target. Then a free-kick four minutes before half-time by Judge found Trevoh Chalobah, whose goal-bound header just went past Kelle Roos' left-hand post. And, in a frenetic end to the first period, Chelsea loanee Fikayo Tomori nearly increased Derby's lead when his shot went wide from six yards following a corner by Lawrence. The home side drew level in the 55th minute following a surging run forward by Quaner. He laid the ball off to substitute Nolan, who had replaced Flynn Downes two minutes earlier, and his powerful right-footed shot from the centre of the penalty area found the back of the net. In the 68th minute Holmes prevented Ipswich taking the lead, heading off the line a shot from Knudsen following a corner taken by Judge. Bialkowski then produced a save from a diving header by substitute David Nugent in the 84th minute following a goalmouth scramble. The ball fell to Tomori whose shot was too high. The Ipswich keeper was also on hand to palm over the bar a header from Waghorn in the 89th minute following a free-kick by Lawrence. 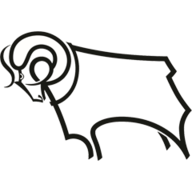 Derby - who are seventh, level on points with sixth-placed Middlesbrough - then hit the bar when a header from Nugent struck the shoulder of Matthew Pennington in a dramatic finish. Paul Lambert: "As long as it's possible anything can happen. I thought that we were brilliant bar 60 seconds of the game. I am proud of them, proud of the supporters and we were well in the fight. If we play like that and have that desire and fight then I don't think anybody can point the finger. "We started well and then you get their first attack and it took a deflection I think, but if you look at our team it was really young and it's the way forward with the club as well. There was only one team going to win it, it was ourselves." Frank Lampard: "After a start like that against a team that are bottom it was the perfect start to go on and control the game. But if you give possession away you can't control the game and we breathed life into their team and hence the result. "Our quality in terms of possession, we gave it away cheaply far too many times, sometimes under no pressure at all. We have aspirations to get in the playoffs and get higher up the league. The team performance was not good enough, generally, we gave the ball away and did not control the midfield."